Follow along as Newsday's team takes you through the first round of the 2018 NFL Draft on Thursday, April 26, 2018. 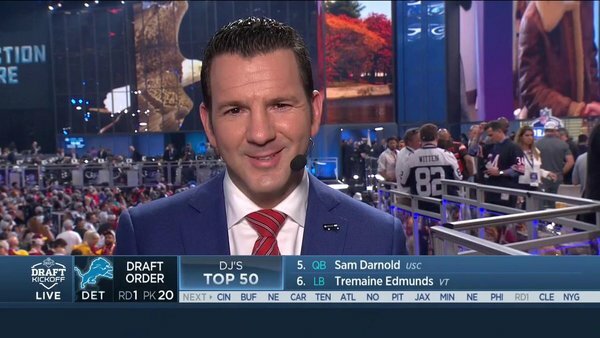 #NFLBlitz with @MarcIstook and @erincoscarelli LIVE from the #NFLDraft !
. 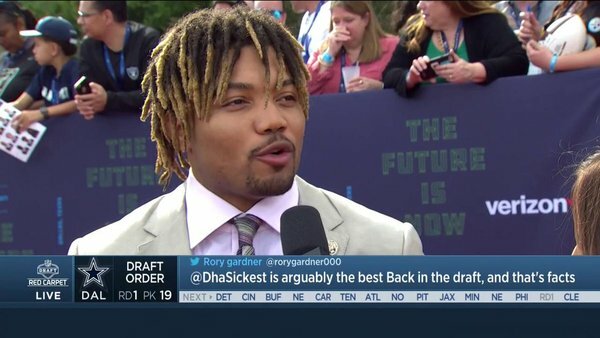 @LSUFootball RB Derrius Guice (@DhaSickest ) hits the @NFLDraft red carpet! Where will @LSUfootball RB Derrius Guice (@DhaSickest ) land?! 📺: #NFLDraft (8pm ET) on NFLN/FOX/ESPN!
. @JaireAlexander hits the Red Carpet! 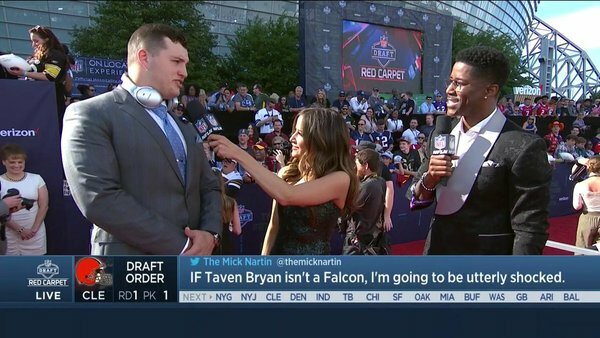 The first thing @GatorsFB DL @tavenbryan93 is buying with his NFL paycheck? Strike that. The future is in an hour and a half.
.@TexasFootball 's Connor Williams (@cwill ) spins the @NFLDraft Red Carpet wheel! 90 minutes from the first pick being announced. Inactives should be out any minute. Whoever the Giants select should sign the wall next to Eli's.
.@HawkeyeFootball CB Josh Jackson (@Joshrando3 ) will be drafted by the _______.
.@HawkeyeFootball CB @JJackson15_ will be drafted by the _______. Welcome to the @NFLDraft , @ShaquemGriffin !
. 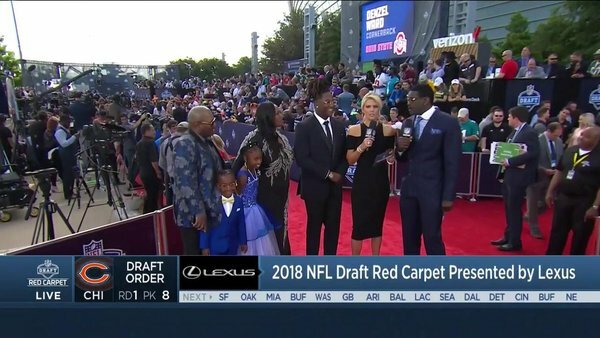 @Shaquemgriffin has arrived at the @NFLDraft Red Carpet!
. 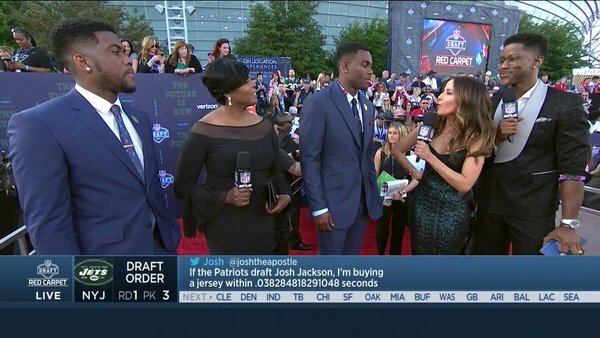 @JoshAllenQB on the @NFLDraft Red Carpet! 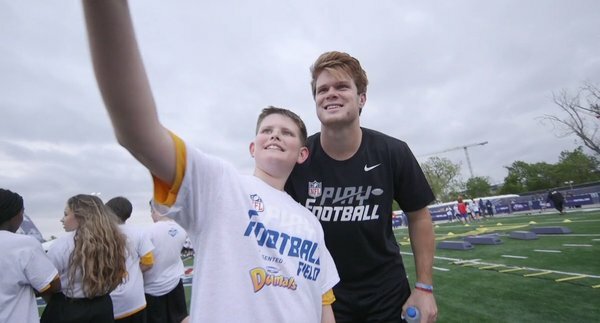 And… he's attending the @NFLDraft !
. 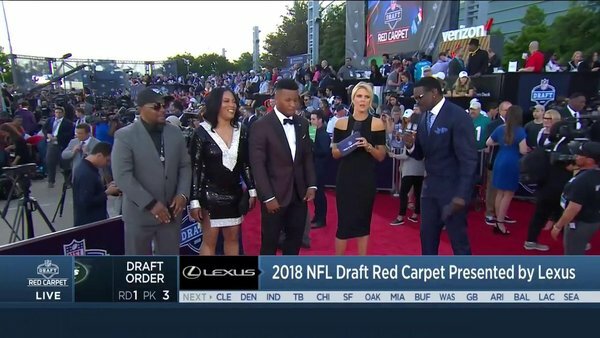 @minkfitz_21 spins the @NFLDraft Red Carpet wheel! Who will draft the @AlabamaFTBL star? Which platform will the Giants' pick use to express his first social media thoughts after he is selected? NFL should pick the players in reverse order to build up even more drama and suspense. Sam Darnold's football journey has led him to Dallas for the #NFLDraft .
.@saquon spins the @NFLDraft Red Carpet wheel! Who should draft the @PennStateFball star? 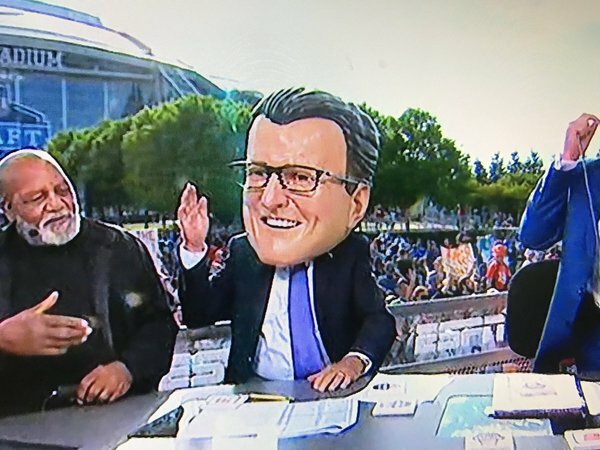 Q: What channel is the draft on? A: All of them I think. 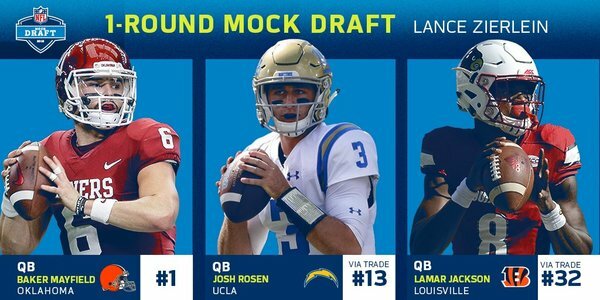 Welcome to the @NFLDraft , @josh3rosen ! 10 minutes until the 2018 #NFLDraft ! Sam Darnold and his family are ready.